This is a great price on chicken breast! I don't know how I missed it today, but I have been so busy planning my son's birthday that I went to Aldi completely unprepared today. There are lots of great Aldi produce prices again this week, and every Aldi store should have some great produce deals. Produce prices for areas with Aldi produce prices starting Wednesday February 29th. 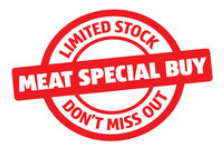 This week you can find lots of Aldi cheese and Aldi fish on the Aldi price cuts list. I can personally recommend Aldi's deli cheese, which is much cheaper than at my regular store, and I am also excited to see that the Sea Queen Wild Caught Salmon is finally on sale again. I am happy to announce that there have only been slight price increases, since my last grocery price list update. I even spotted a few price decreases, and I am bracing myself for higher gas prices, which usually means higher prices in the store. My visitors left for Europe yesterday, and they called this morning when I was out shopping to let me know that they were back home again. It has been two fun-filled weeks, and my kids sure were spoiled by having their grandfather here. We went to the beach almost every day, and the kids especially loved it, when we picked them up from school with their swim clothes ready to go. Life is now back to normal, and I am back to my regular shopping again. My middle son is turning six next week, but I only have a few items left on the shopping list, as I have been filling up the party box whenever there was a sale. Today I picked up chips at Target for the party, and I opted to get a bag with 20 individual bags, because it is easier for the kids to handle at the park. The great Aldi produce prices continues this week, and this week there is plenty of great prices on everything for your salad. Produce prices for areas with Aldi produce prices starting Wednesday February 22nd. This week you can find lots of Aldi cheese on the Aldi price cuts list. I can personally recommend Aldi's deli cheese, which is much cheaper than at my regular store. This week there is a little bit of everything on the Aldi produce menu, but the prices are pretty decent. You can find everything from strawberries to grapes and artisan lettuce. The great Aldi produce prices continues this week, and there is something good in store for everyone, no matter where in the country you are. Produce prices for areas with Aldi produce prices starting Wednesday February 8th. This week Florida Aldi stores will have a little bit of everything, so there is both something for the produce drawer and for the fruit bowl. The February Aldi Spot Giveaway is a gardening giveaway, because I will be giving away six packages of fresh herbs to one of the Aldi Spot Subscribers. 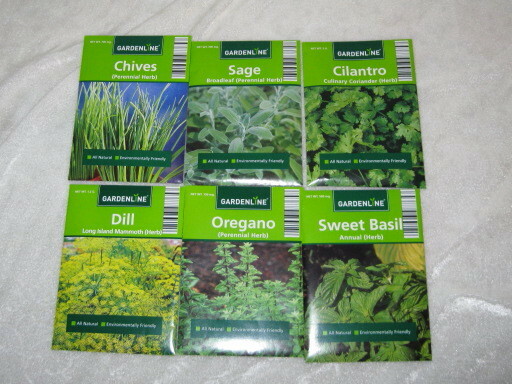 Aldi does not sell fresh herbs, which is why I am excited to give one of the Aldi Spot's readers six different pouches with Gardenline herb seeds from Aldi. This way you can enjoy great deals at Aldi, and spice it up with herbs from your garden. Don't forget that a container garden needs little space, and herbs are usually very low maintenance. This giveaway will end Wednesday March 7th at 11:59 PM. 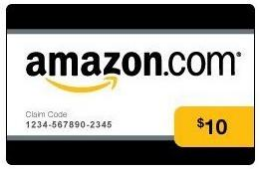 It is time to announce the Aldi Spot January Subscriber Giveaway winner, and the winner will win a $10 Amazon gift certificate.